Castor oils medical use dates back thousands of years to the ancient Egyptians. 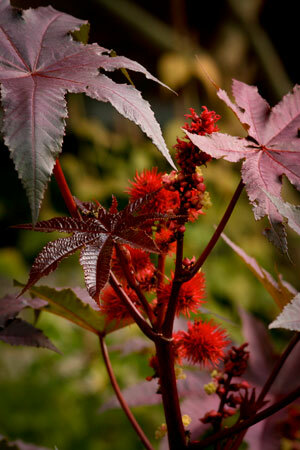 The castor bean contains the oil but also ricin, one of the most potent natural toxins. Ricin is water soluble and thus is absent from the oil, but special care must still be taken extracting it. Castor oil is a triglyceride comprised primarily from the fatty acid, ricinoleic acid. When ingested orally, lipase enzymes in the small intestine release ricinoleic acid that binds to prostaglandin EP3 receptor in intestines to peristalsis. Castor oil is a powerful stimulating laxative that induces a bowel movement within 3-5 hours, which is much faster than the anthraquinone glycoside containing laxatives like senna. Stimulating EP3 receptors also stimulates uterine contractions, which explains why castor oil is used to induce labour. Although capable, castor oil is not usually the first line therapy for constipation. Animal studies suggest castor oil may cause leaky gut syndrome if used chronically. Topically castor oil is still a popular remedy amongst naturopathic doctors for a variety of conditions including arthritis, muscle pain, wound healing and liver detoxification. Research suggests ricinoleic acid depletes a pain messenger called Substance P that produces antinociceptive effects. Applying castor oil on painful joints and muscles for a week or more often greatly reduces pain. The stimulation of EP3 receptors increases the growth of new lymph vessels, which explains how it might help wound healing and lymphedema. Naturopaths recommend castor oil packs on top of the liver to stimulate detoxification and immune function. Massaging it on the breasts may promote lactation and relieve breast engorgment in nursing mothers.